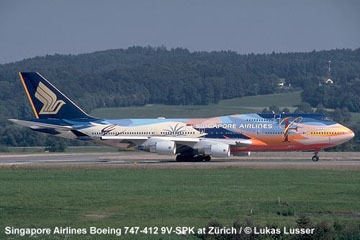 A Singapore Airlines Boeing 747-412. 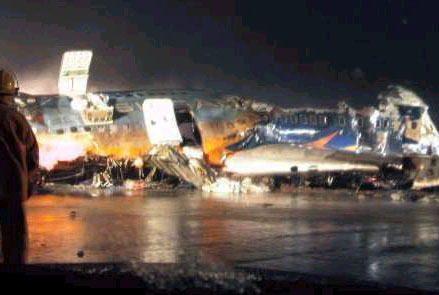 The runway crash scene, flames still illuminating part of the wreckage. 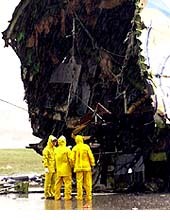 The runway crash scene, the aftermath in the morning light.